It’s another very cold Saturday – a little bit of a snowed in kind of day. It’s windy and too cold to play outside. We are all hoping perhaps this is the last winter blast, but we shall see. This frigid weather does make the perfect day to work on a few indoor small and easy projects for the house. I made a huge pot of quinoa beef stew in preparation for guests that we will have in the next few days, which will also double as tonight’s dinner. It smells so good simmering on the back of the cookstove. We are running very low on our beef (which we purchase in the fall from a farmer) so a stew is a great way to spread the meat further for a few meals. I also made some spelt buns and bread for dinner. The girls helped me scrub the grout on the kitchen floor tile (a time consuming job), we washed all the bedding for the bigger girls and dried it by the woodstove, along with a second load of regular every day laundry. The girls cleaned up under their beds (a collecting spot for junk, if not monitored) and I scrubbed down our bathroom. We also did our regular Saturday chores, which usually is a cleaning of the house from top to bottom. Lucia and Lovelyn made oatmeal jam bars, which the girls are snacking on while they work on an art dvd which our good friend gave to us. 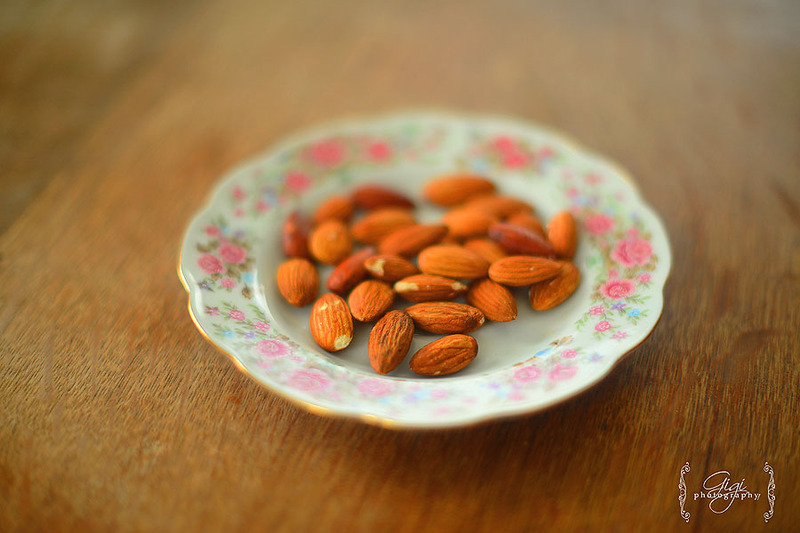 After our regular chores were finished, I decided to make some almond extract. My mother recently gave me some extra alcohol she had in her cupboard, which was to be used for making our tinctures. 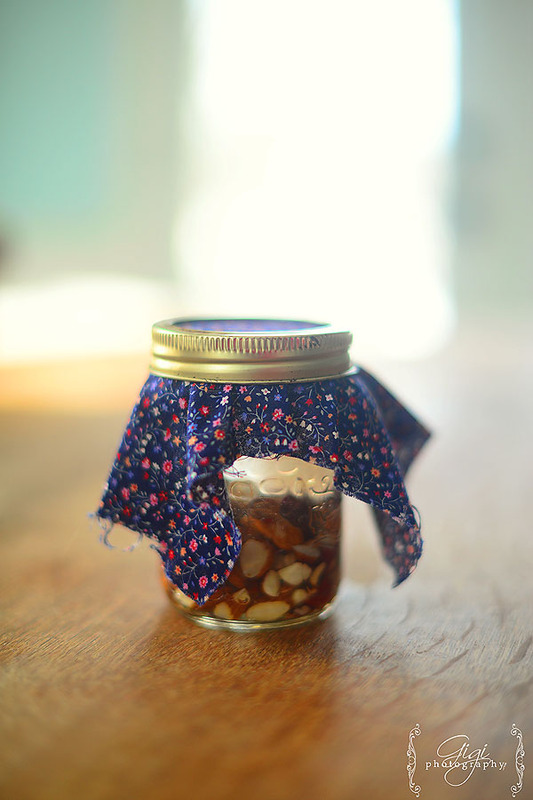 I’m waiting for my vanilla beans to arrive in the mail (which will be used for vanilla extract), so in the meantime, I thought it would be a good idea to make a small batch of almond extract. It It is so easy and simple to make. 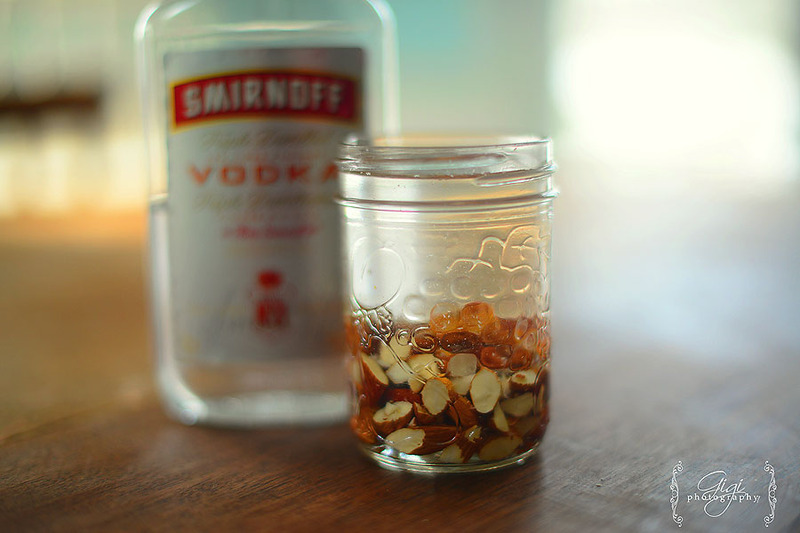 All you need to do is put your almonds in a jar and cover with vodka! I chopped mine up a bit but I am sure it is not required. 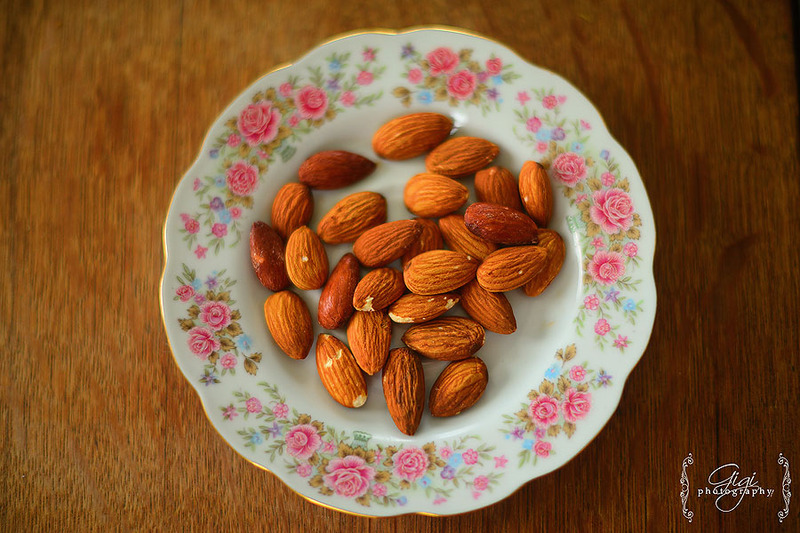 Once your almonds are covered with the alcohol (which extracts the almond flavor), place your jar in a dark cupboard to allow it to six for six weeks or so. After that time, it is ready! So simple and easy, right? What home projects do you like to do a cold, snowed in Saturday? Our Home of Many Blessings – Great!!! I cant wait for that post! I have learned so much from you and this site. I appreciate all the time that you have put into it! Gigi – That is a good question that probably deserves a long answer. 😉 Yes, we have set schedules. I will see if I can post some. I’m afraid I add to that posted schedule all the time so it is changing with the seasons but generally, they all have assigned household and animal chores…every child is involved! Our Home of Many Blessings – I would love to know if you follow some sort of a housekeeping schedule.Wether it’s daily,weekly, or seasonal?do your girlies have set chores every day that you want them to follow?I know you have a lot of animals that need care also.Do you have a to do list or certain days with certain work that you do and how do you incorporate the kiddos? Gigi – Such a simple idea, right? 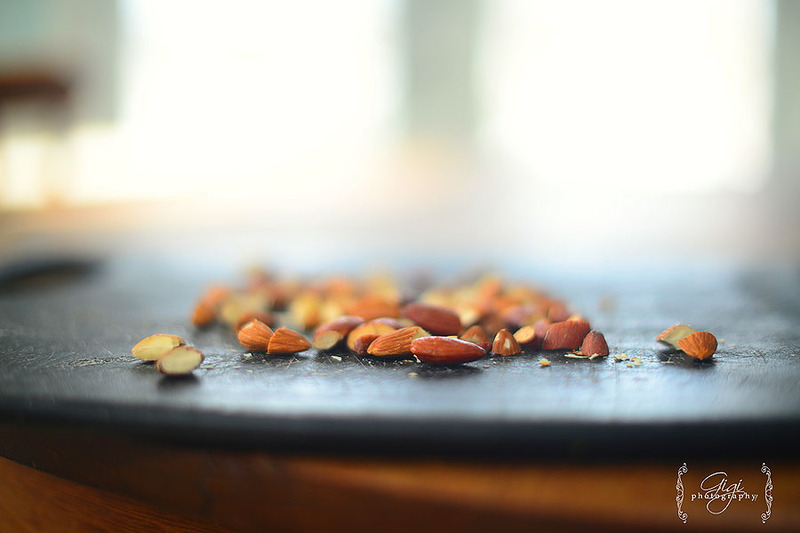 But so lovely to make for your kitchen.